Betty developed the cross sport of Hoop Boarding in 2000. (hula hooping while snowboarding) She appears almost every year on the White Out Segment, during the Aspen Winter XGames. The producer of America's Got Talent contacted her to simulate Hoop Boarding on the show in 2014. She made it to the Celebrity Judges Round. Betty with Tom & HILARY Sims, the pioneer of Snowboarding! The C-Force & G-Force must be equal. If the hoop is too light, it will fall and create too much torque in the back and pull one off their edges. The fast downhill speed means that Betty must use a hoop that is about 3.5 pounds. Heavy enough to withstand wind and downhill speed. 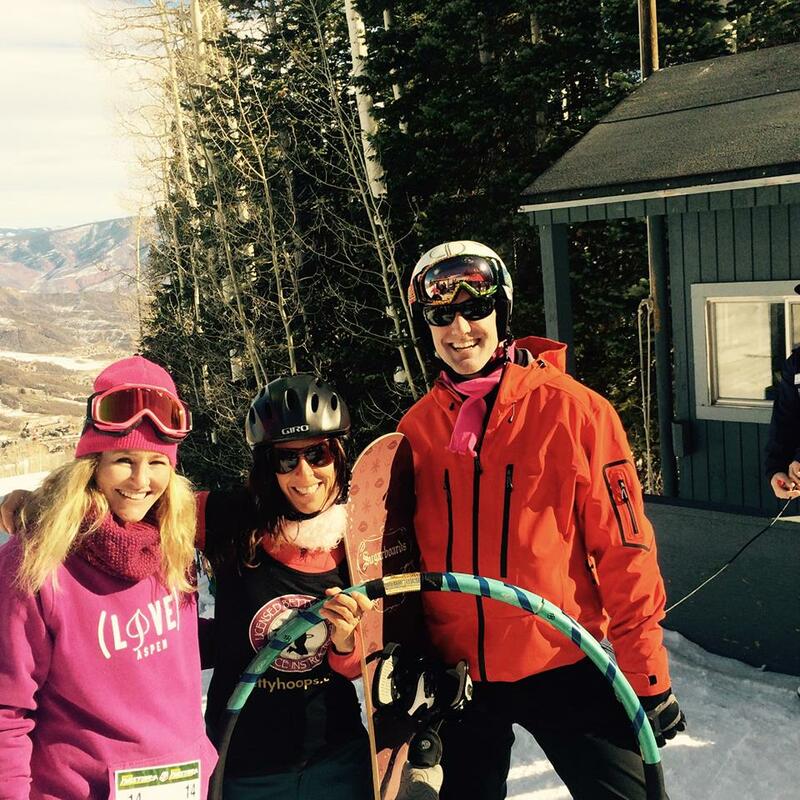 Olympic Snowboarder Gretchen Bleiler has even tried her shot at Hoop Boarding with Betty! Check it out! Betty Hoop Boards for fundraising events and races with Olympic Snowboarder Chris Klug. He says that Hoop Core® is a really tough and great workout for cross training! Book Betty for a Hoop Boarding event here!